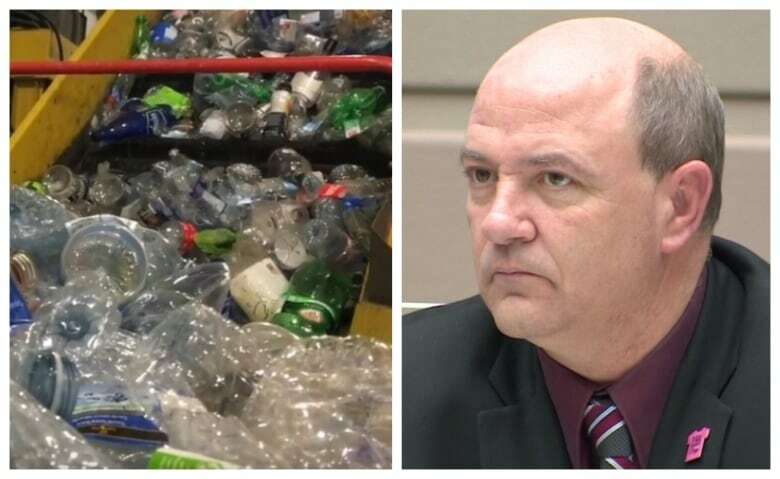 Alberta towns and cities are throwing their support behind an idea expected to help cover the costs of increasingly expensive recycling programs. 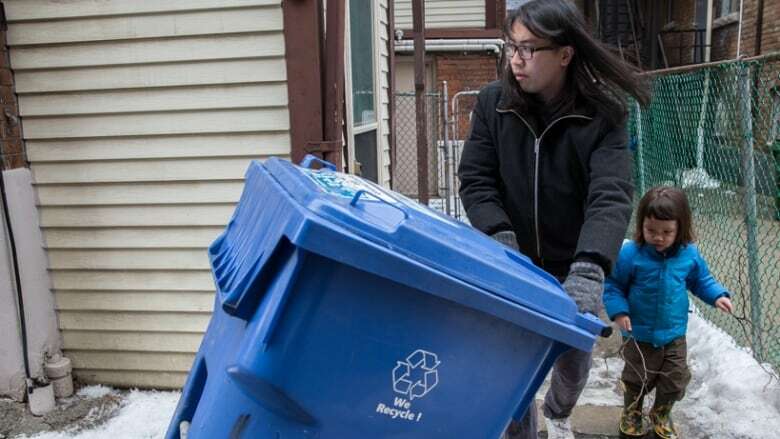 A waste diversion expert says it helps cover recycling costs for municipalities — savings that don't always trickle down. Alberta towns and cities are throwing their support behind an idea expected to help cover the costs of increasingly expensive recycling programs. It's called extended producer responsibility (EPR) — which essentially means the companies that make packaging and other waste would pay, or be responsible, for disposing of it, usually through a recycling program. A waste diversion specialist says it's helped local governments cover the rising cost of diverting waste from landfills. Calvin Lakhan of York University says municipalities are usually the biggest winner, even ahead of the environment. Provinces across the country do this to varying degrees, he says. In B.C., companies take on all the responsibility for recycling, funding and operating the system. Other places recoup a portion of the recycling costs from companies, getting the rest through taxes. The City of Calgary voted to support a provincewide study of the issue, and dozens of other local governments are encouraging the concept, as well. Lakhan, who has studied EPR programs for years, discussed the benefits and challenges with Calgary Eyeopener host David Gray on Thursday. Q: How common are EPR programs across Canada? A: EPR programs are definitely gaining a lot of traction across the nation. In terms of a mature, fully implemented program, I believe only four provinces have that in place. But I think as a policy direction, most provinces are moving towards it. Q: Now why is that? What are they supposed to accomplish? A: So the premise of EPR is to ensure that producers are physically and financially responsible for the end-of-life management of what they make, which intuitively makes sense. So the outcome is to make sure that products get recycled and stay out of landfills, and encourage producers to make environmentally friendly products. Q: That sounds attractive, and the notion would be to shift the costs from the city onto the consumer or the manufacturer? Who ends up paying more here? A: So the underlying intention is that the cost is supposed to be borne or absorbed by the producer. The reality of that is that probably doesn't happen. So municipalities are often service providers and have traditionally paid the cost of recycling. Through EPR, that cost is then transferred onto the producer. But what happens is that producers will then build that cost into their products. So ultimately the consumers end up paying the final bill for recycling. Q: So the whole notion of user-pay, which was the reason you would do this — well, if they're producing the stuff, they should pay for it — doesn't actually work because it comes back to you and me once again to make up the shortfall? A: You know, it's funny, I'm reluctant to say that's absolutely the case in every situation but in most situations that I've personally observed, that is what happens. It's especially for printed paper and packaging where the fee is not visible, so it's not like electronics. It's built into the cost of the product. It's just so easy for producers to just nudge the price upwards and we don't notice. Q: But there's three players here, right? There's the consumer, there's the manufacturer, then there's that player in the middle, there's the municipalities, who really like these programs because it would seem that they're able to generate revenue. So if they're able to do that, doesn't that mean that our recycling fees would go down? A: So this is jurisdiction specific but as I'm familiar with Alberta, you have an explicit recycling fee that you pay on top of land taxes to cover the cost of recycling. So what should happen is that if EPR is implemented, the municipality is no longer bearing that cost. You should see a decrease in your municipal taxation. However, in most other jurisdictions where recycling is built into the cost of property tax, that absolutely will not happen. Municipalities will essentially take that money and appropriate it for another reason. Q: So all this begs the question, why go ahead and do it? A: I think fundamentally EPR is, as a concept, is very important because we need to make sure that producers are designing products that stay out of landfills and encourage respectability and sustainability and all that jazz. Unfortunately, how we implement EPR has resulted in some unintended consequences, namely price inflation, inefficiency, some antagonism between the people who make the product and the people who recycle the product. But I think that idea, that who makes it should be responsible at its end of life, should still be a message that we retain. But we need to think really carefully about how we implement it. Q: So let's think carefully for just a moment here. There's got to be a better way to make this work. Can you think of one? A: If I could, I'd be a very rich man. Realistically, what ends up happening is that there's just so many cooks in the kitchen. So, for example, in Ontario, we've been working towards 100 per cent EPR for the better part of 13 years, and we still haven't successfully got there because of so many stakeholders and arguments over who pays what, who's responsible for processing and collecting materials. So I think it's a system where you kind of work towards incremental improvement and then ideally one day we reach the optimum. I just couldn't tell you what the optimum looks like.